International People's College is a Danish Folk High School in Helsingør in Denmark. You meet the whole world at the school, since we have students from more than 30 different countries. You get international knowledge, which is useful in your further education or job opportunities. 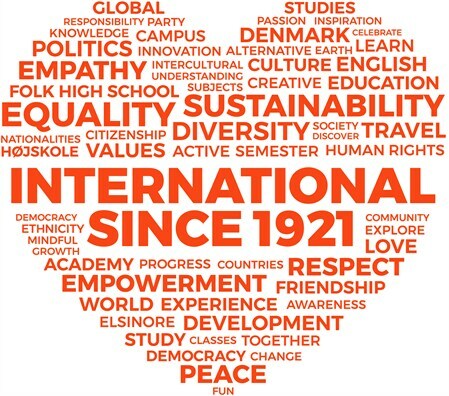 International People’s College (IPC) is an extraordinary Danish Folk High School with students from all over the world! Every term we have about 100 students from more than 30 countries across the planet. At International People's College you can dream away with a Brazilian, eat with a Japanese, discuss politics with a Nigerian or listen to music with an American. We offer you a chance to have a party with the entire World! Our aim for the last 100 years has been to raise awareness on peace, promote cultural openness and contribute to a world where diversity will be seen as a benefit and not an obstacle. We do this by fostering intercultural dialogue and mutual understanding through an intensive study program that will challenge your views and ideas. Read more about our core values here. Watch a film about International People's College here. View photos of the folk high school here. Read what former students say about IPC here. The starting point of any class at International People's College is the diversity of our students. The energy and the inspiration that comes out of that cannot be taught; it has to be discovered by being here! What you will learn though, is how to use this energy and inspiration that only happens when cultures engage, to become more knowledgeable, better and more skilled in using yourself and others - and have fun at the same time. 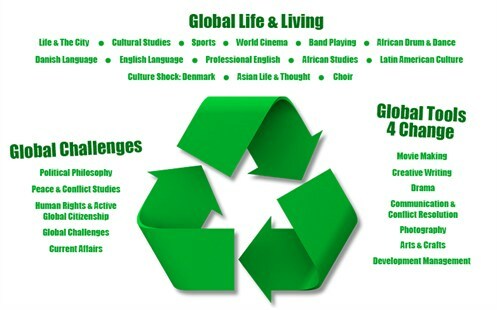 All classes have both a global and regional orientation emphasizing personal development, professional skills, communication, community and creativity. Every term at our Folk High School the best teachers from around the World offer more than 40 different subjects. In this way you are allowed to mix and match your weekly schedule as you see fit. Like that you can try out a lot of different subjects or immerse yourself into your specific interest. Take a look at our subjects here. Cultural evenings have been a custom at International People’s College for decades. Students from a particular region or continent get a chance to present what they believe is best about their home and their cultural background. Read more about 'Cultural Evenings' here. International People's College is located in Helsingør (Elsinore), about one kilometer away from the ocean and from the historical 'Kronborg Slot'. Furthermore it is possible to take the train to central Copenhagen several times during the hour - it only takes 45 minutes to get there. In this way you get the best from two different worlds - the beautiful and peaceful scenery in Helsingør, and the rytmic pulse of the capital city of Denmark. Our Folk High School offers spring & Autumn Terms of 12, 18 or 24 weeks - visit our website - www.ipc.dk for further information! Learn Danish language, while experiencing Denmark with students from the entire world. Gain confidence in English language, while experiencing Denmark with students from the entire world. 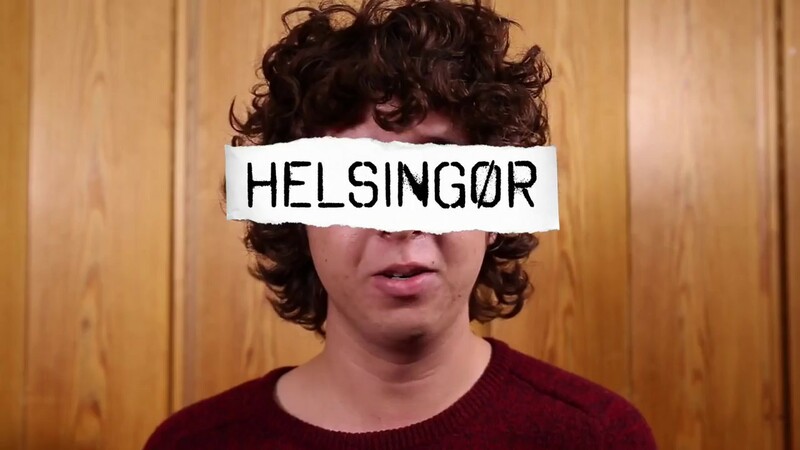 Meet the world in Denmark. International studies with students from the entire world! View our Dates and Prices here. We have room for 103 students who will live, eat and study together. Our students come from more than 30 different countries which will give you the opportunity to strengthen your English, international profile and learning about other cultures. Study trips are an integral part of the experience at International People’s College and gives you the opportunity to break the daily routines, change perspective, and focus on something entirely different. Read more about our Study Trips here. We offer ecological food. It is possible to get vegan and vegetarian food. If you have allergies or the like, we will make sure to accommodate your needs. We have room for up to 103 students in single- or double rooms. Lecture hall, conference rooms, internet, technical equipment and kitchen available. The old town of Elsinore is at a walking distance. It is easy to get to Copenhagen by train. Learn Danish language, while experiencing Denmark with students from the entire world. Gain confidence in English language, while experiencing Denmark with students from the entire world.Meet the world in Denmark. International studies with students from the entire world!Meet the world in Denmark. International studies with students from the entire world!Meet the world in Denmark. International studies with students from the entire world!Meet the world in Denmark. International studies with students from the entire world!